Newest Advances in Custom Designed Smiles Since no two patients are ever the same. 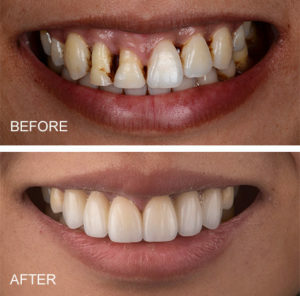 Smile Design is the first step in achieving the most esthetic, functional and long-lasting results. 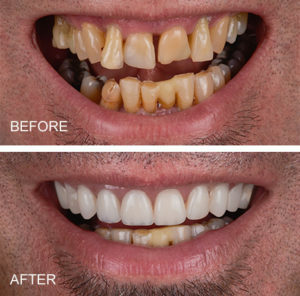 See your new smile and have the skilled Amsterdam Dental team create it. When less is more — Less time. Less discomfort. Better results. Since no two patients are ever the same. 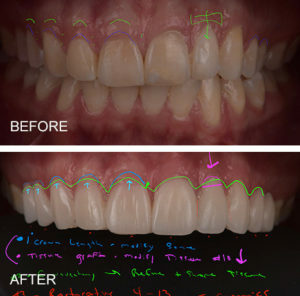 Meticulous planning and precise techniques combined to create unique patient smiles. 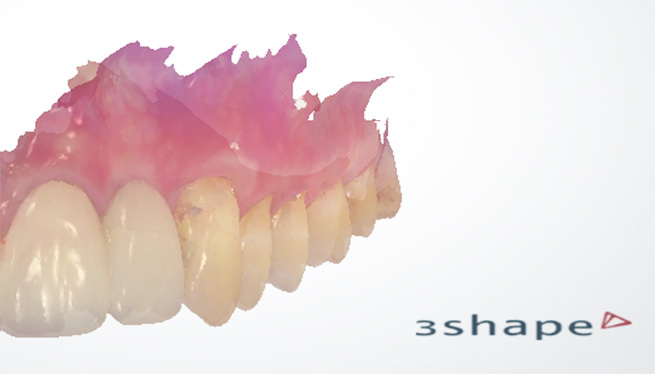 Amsterdam Dental Group uses 3D Digital Smile Planning and Design to first preview your new smile then create just what you see with the most esthetic materials and skilled expertise for the best possible results. When Less is More… Less Time. At Amsterdam Dental Group, our exclusive MIDI® computer guided technique is performed by one of five dual-trained specialists offering MORE precise implant placement, SHORTENED healing time and unmistakably BEAUTIFUL smile. When it comes to smile design, expertise makes all the difference. A successful, aesthetic result requires teamwork between the dental surgeon and restorative dentist. 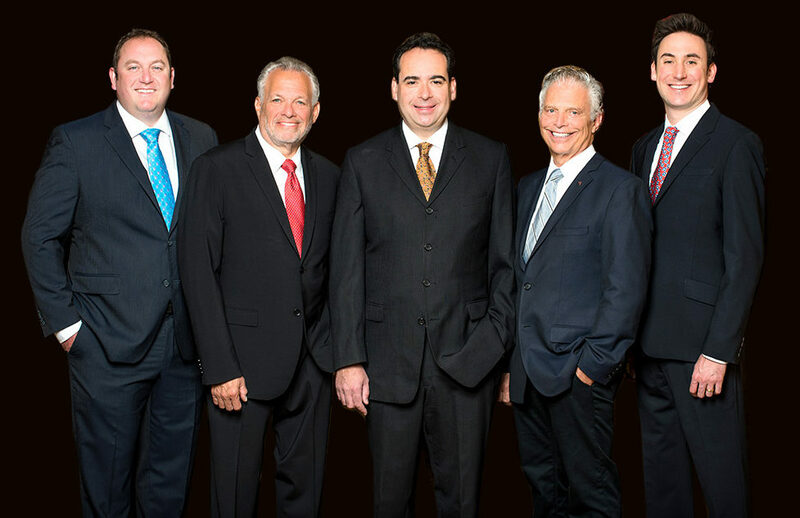 Amsterdam Dental is proud to not only be home to one Periodontal-Prosthesis dual-trained specialist but five such professionals right here in the Philadelphia/Main Line area. In fact, there is no other practice that can make this claim anywhere in the world. But why is it so important? Expertly trained at the world-renowned Periodontal Prosthesis program at Penn Dental Medicine, our five dual specialists are skilled in dental surgery to place implants accurately and adept in restorative dentistry to reconstruct implants esthetically and functionally. Together, we’ve mastered the association between implant placement and restoration with a greater understanding of how they influence each other. Understanding the inter-relationship between the gums, crowns, veneers, and implants is critical to achieving an outstanding long lasting cosmetic result. The result ~ patients receive the best possible outcome and enjoy the benefits. Five dual specialists expertly trained and current faculty at the world-renowned Penn Dental Medicine Periodontal Prosthesis program. Dr. Harold Baumgarten received his DMD degree and certificates in Periodontics and Periodontal Prosthesis at Penn Dental Medicine. He is currently a Clinical Professor in the Department of Periodontics and Clinical Director of the Periodontal Prosthesis program at the school. 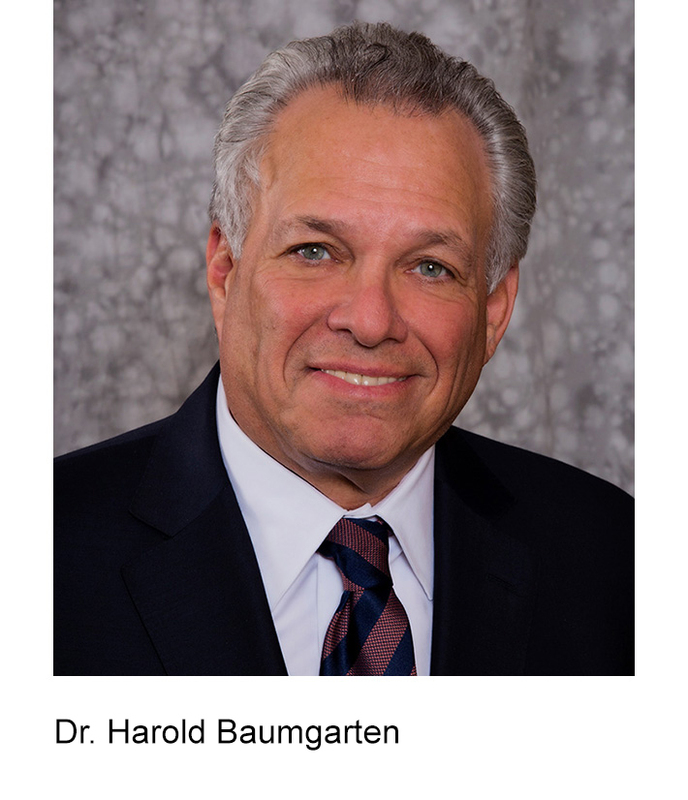 Dr. Baumgarten lectures extensively both nationally and internationally and has authored a number of articles on the subjects of dental implants and restorative dentistry. Dr. Jeffrey Ingber graduated with honors from Temple University School of Dentistry and received specialty certificates in both Periodontics and Fixed Prosthodontics at Penn Dental Medicine. He is currently a Clinical Professor and Director of the Clinical Honors Program. Dr. Ingber specializes in restoring the look and function of aging smiles with porcelain veneers, crowns and dental implants. He collaborates with local plastic surgeons to enhance cosmetic outcomes using oral-facial dermal cosmetic procedures. 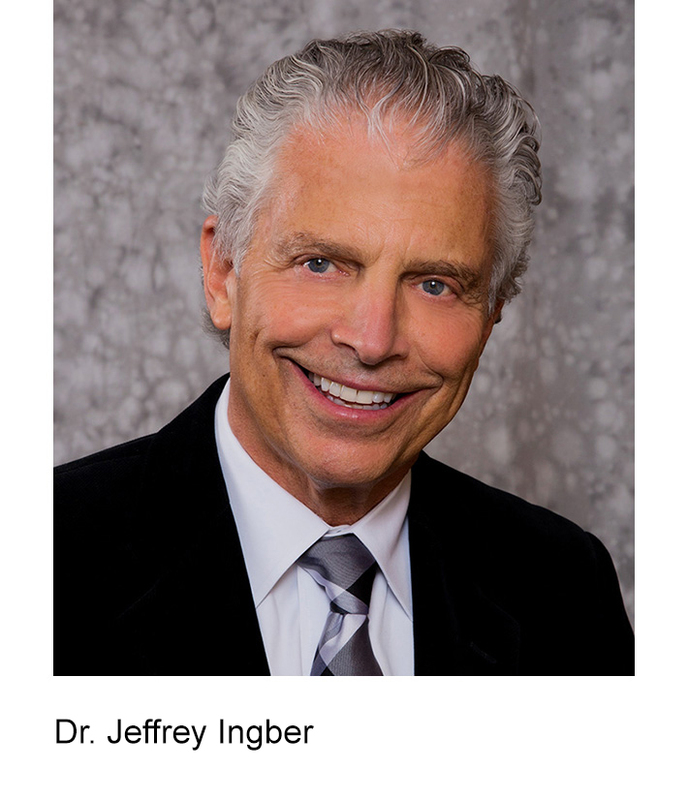 Dr. Ingber is one of only 100 dentists internationally-elected to Fellowship in the American Academy of Esthetic Dentistry. Dr. Howard Fraiman is the managing partner of Amsterdam Dental Group and Program Director of the world renowned Periodontal Prosthesis Program at Penn Dental . He is a graduate of Penn Dental Medicine and its Dual Specialty Periodontal Prosthesis Program. 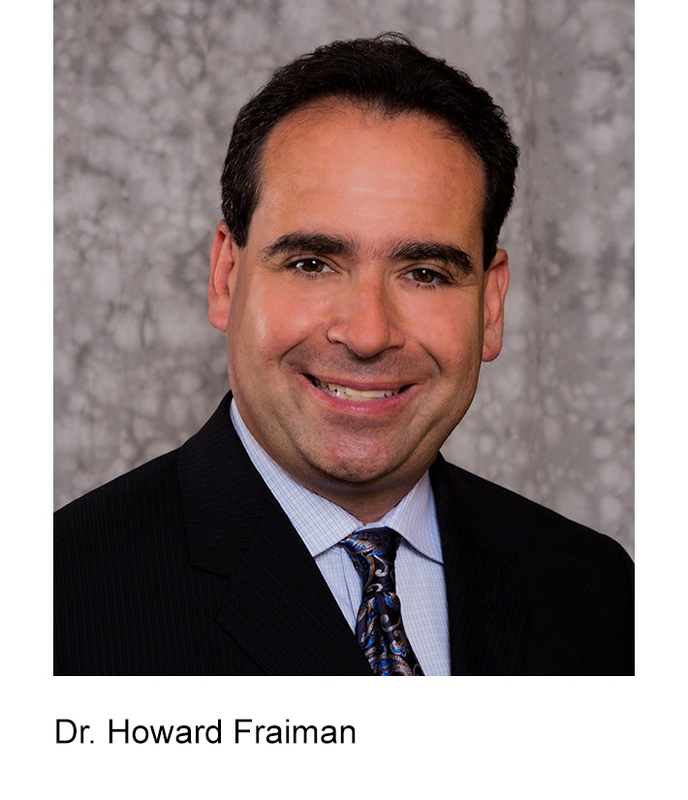 Dr. Fraiman’s practice focuses on comprehensive adult dental care with an emphasis on porcelain crowns, veneers and implant dentistry. His hallmark is patient centered care in which understanding their unique goals are critical to achieving optimal results. Dr. Caleb Cross joined Amsterdam Dental Group in 2015 as a Dual Specialist and is faculty and alumni of the Periodontal Prosthesis Program at Penn Dental Medicine. Committed to the latest in digital dentistry, he is co-founder of the MIDI® technique for minimally invasive dental implants. Dr. Cross is focused on advanced surgical, cosmetic and restorative therapy, including periodontal plastic surgery, dental implants, veneers and crowns, to achieve unparalleled aesthetics and long term results. Dr. Cross loves photography and considers his camera a key instrument in his practice of dentistry. Dr. Brian Kasten received his DMD from Penn Dental Medicine and went on to complete a 4-year combined residency in Periodontics and Periodontal Prosthesis. In addition to being an Associate Clinical Professor in the department of Periodontics and Periodontal Prosthesis at Penn, he is also a Clinical Affiliate in the Division of Dentistry at the Children’s Hospital of Philadelphia (CHOP), treating children with advanced dental issues. 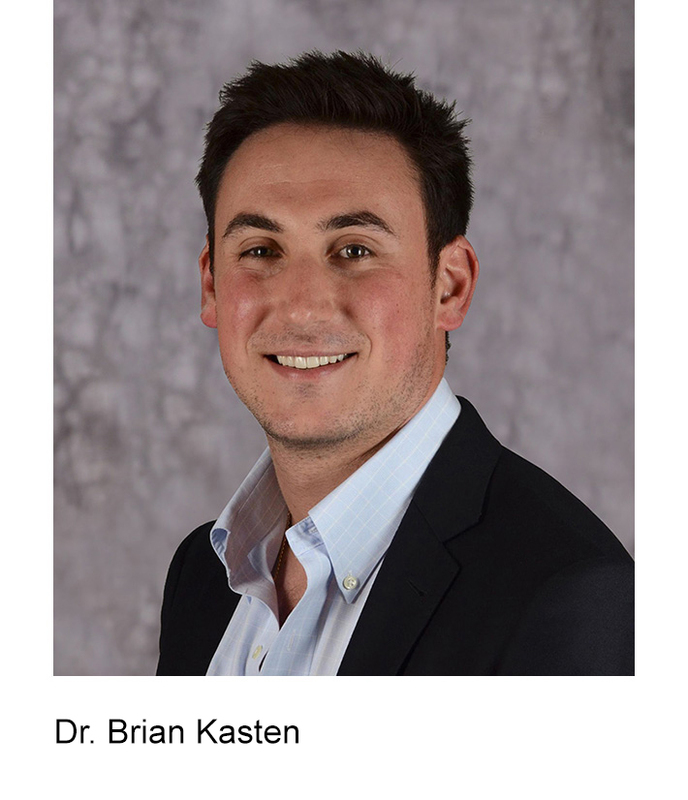 Dr. Kasten’s focus is on multidisciplinary approaches to treating complex esthetic problems and the use of digital technology in dental implant and esthetic dentistry. 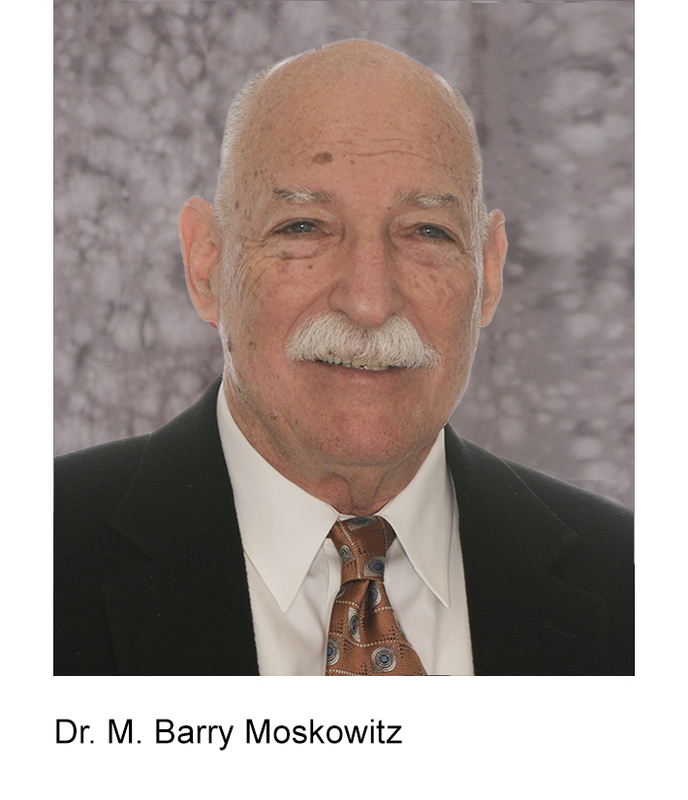 Dr. M Barry Moskowitz is a graduate of the University of Pittsburgh School of Dental Medicine. 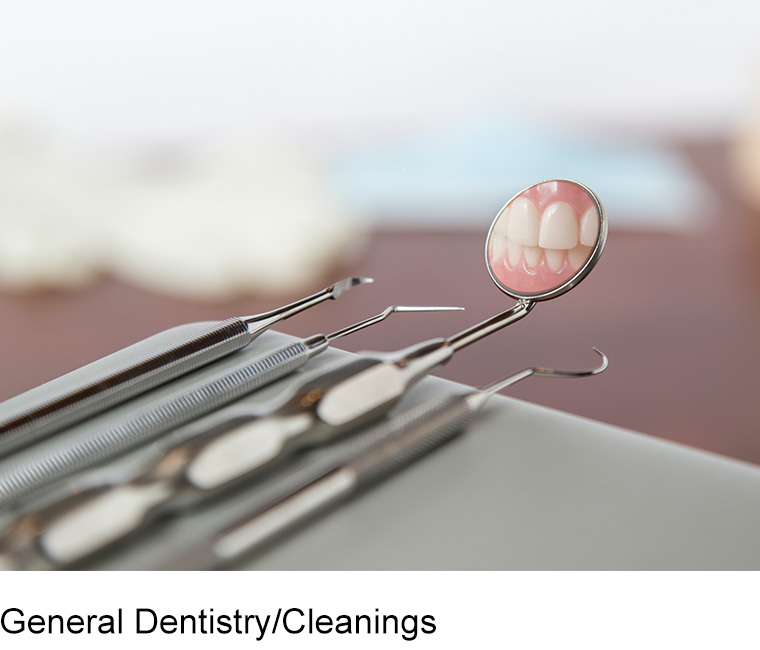 A former captain in the United States Army Dental Corps, he moved to Wayne, PA where he has been practicing for more than 40 years. He was principal in a multi-office group practice prior to teaming with the Amsterdam Dental Group in 2016. Since 1972, Dr. Moskowitz has been an associate professor at Penn Dental Medicine. He is a life-long member of the American Academy of Dental Practice and has lectured nationally on practice management and team building. Traditional Concepts. Digitally Advanced Techniques. Smile Design is the first step in a NEW you. 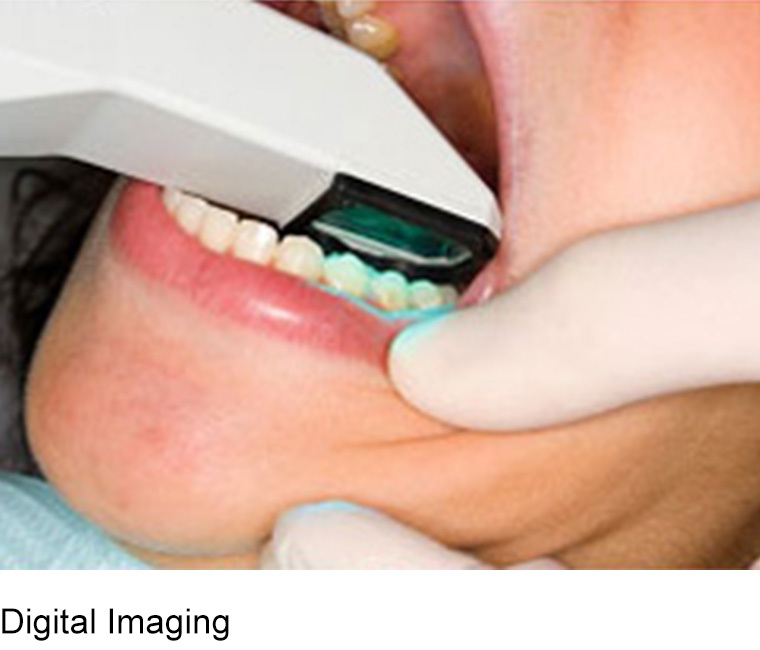 At Amsterdam Dental Group, we use digital technology to achieve the most esthetic, functional and long-lasting results. 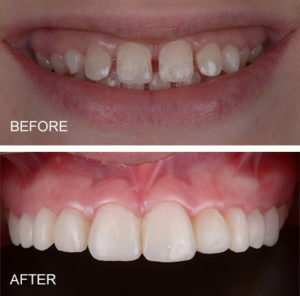 Digitally Enhanced Smile Design lets you see your Future Smile! Why is Smile Design so important? It is the critical first step to ensure your desired smile outcome is achieved. 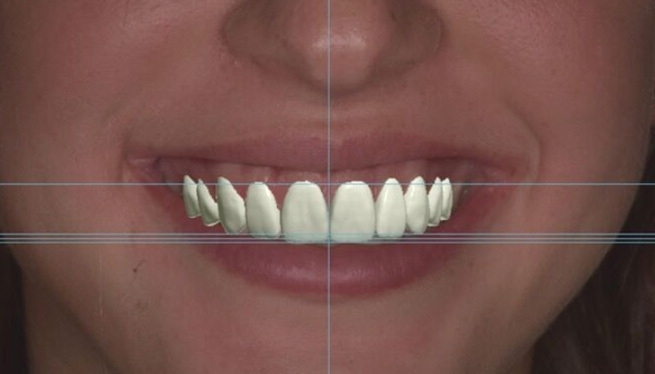 With a combination of digital photography, software and dental arts techniques, a preview of the final smile is created. 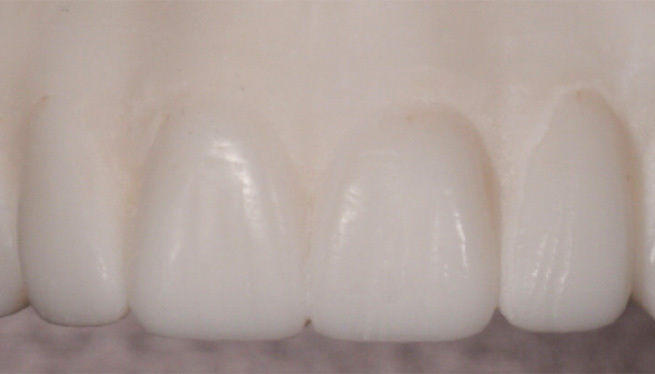 Based on this preview, design changes can be made as needed before any dentistry is initiated. 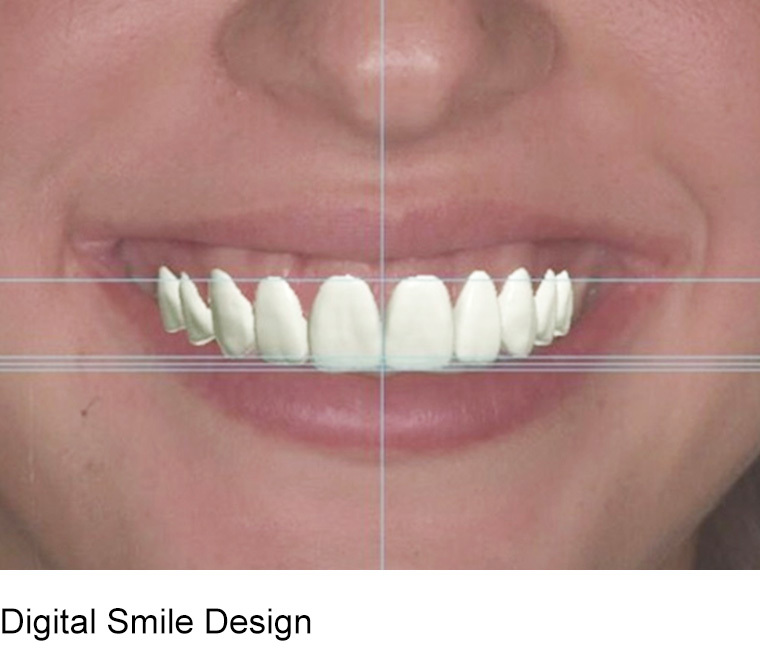 The final smile design result is then used to mirror the digital view and the ultimate esthetic smile. 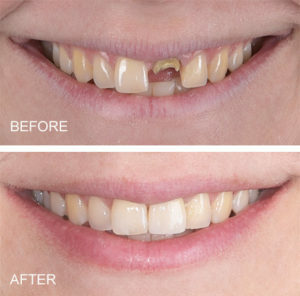 Cosmetic Dentistry can do more than create a great smile; it can be emotional and life changing. 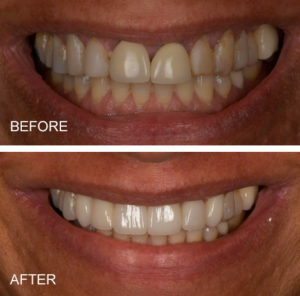 Porcelain crowns, veneers, laminates and bonding are several of the customized treatments available to improve your smile – both esthetically and functionally. At Amsterdam Dental we have a meticulous process to create your future smile. It involves digitally designing your future smile so you can see yourself with a new smile, and be part of the architect team for your new smile. The smile is then created using the finest concepts, techniques, and materials. 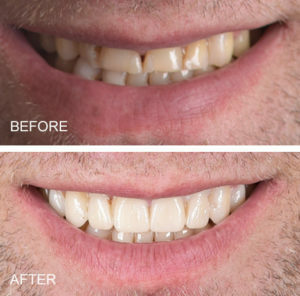 Cosmetic Dentistry can do more than create a great smile; it can be emotional and life changing. Porcelain crowns, veneers, laminates and bonding are several of the customized treatments available to improve your smile – both aesthetically and functionally. See your future smile. 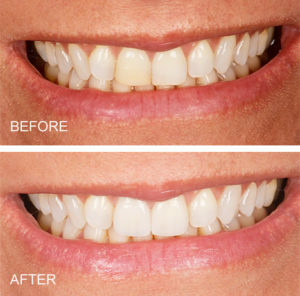 Digital Smile Design is the first step in achieving the most esthetic, functional and long-lasting results. With a combination of digital photography, software and dental arts techniques, a preview of the final smile is created and fine-tuned. 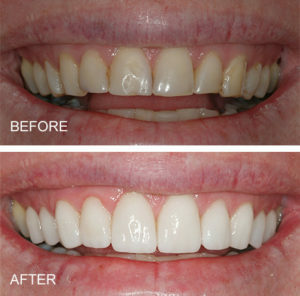 The final smile design result is then used to mirror the digital view and ultimate esthetic smile. Healthy gums are more than important to oral health; studies have suggested a link between periodontal health and overall wellness. 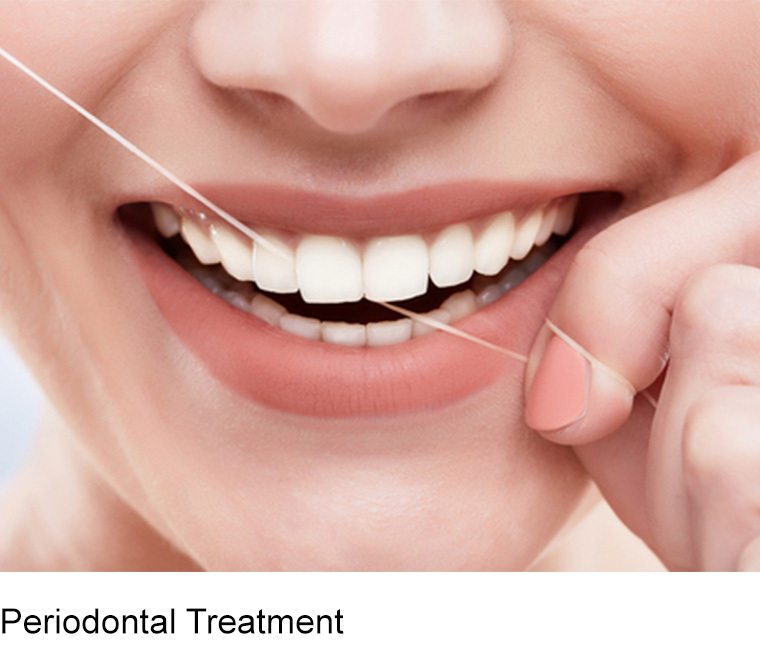 Our experienced team of periodontists provide periodontal care which may also include deep cleaning (scaling and root planing), gum surgery and gum grafts. Whether it is filling a cavity, repairing a chipped tooth or closing a gap between front teeth, bonding or white filling materials are an excellent and cost-effective way to improve your smile or restore dental caries. 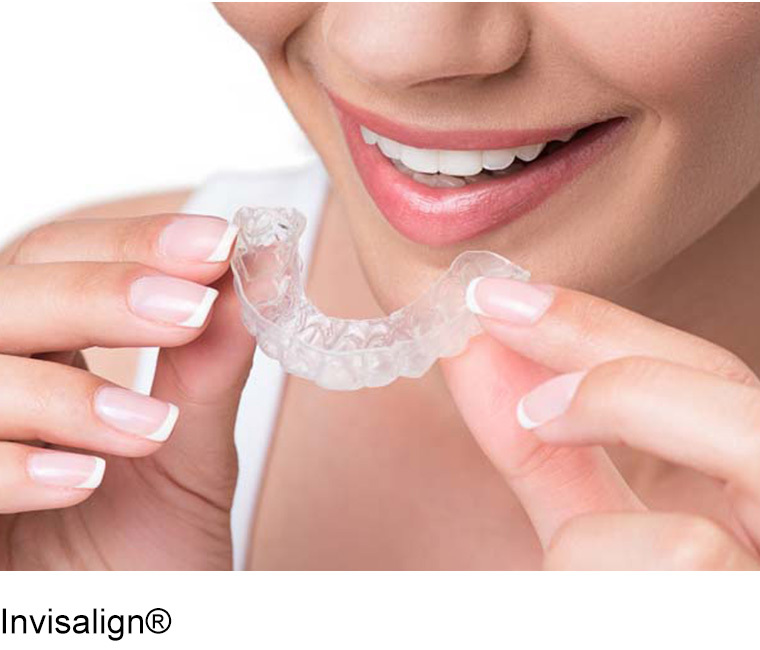 Ideal for patients of any age, Invisalign® aligners are the clear alternative to metal braces and a virtually invisible way to improve your smile. 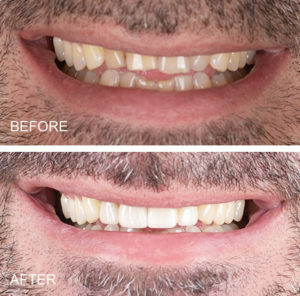 Each aligner is custom made using the most advanced techniques in order to create a better fit and achieve the results not only faster but with greater predictability and control. With Invisalign®, you can live your life without interruptions. Coffee, tea and wine are just a few of the common foods and drinks that can stain your teeth. 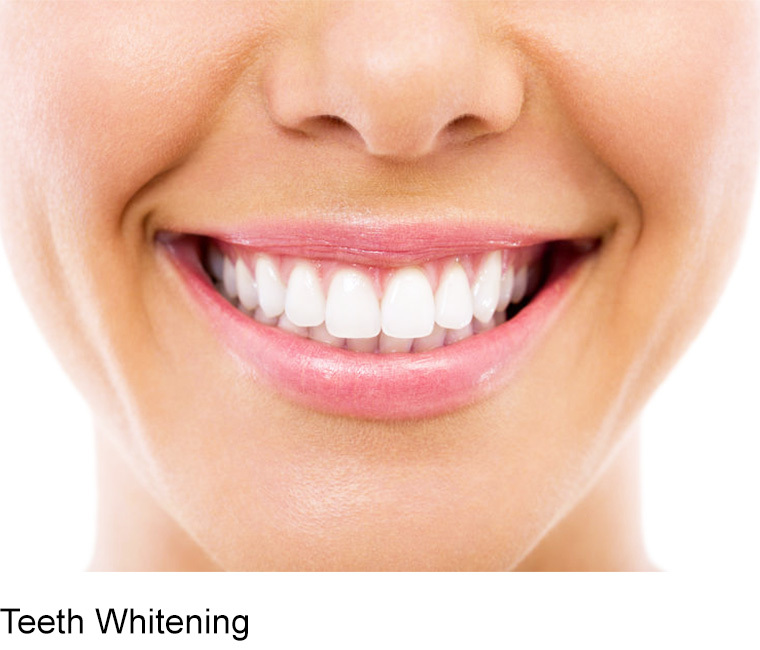 Whitening (also known as bleaching) is a safe and effective way to restore teeth to a brighter whiter appearance. When it comes to dental impressions, there is good news. The traditional “goop” has all but been replaced with 3D digital impressions. 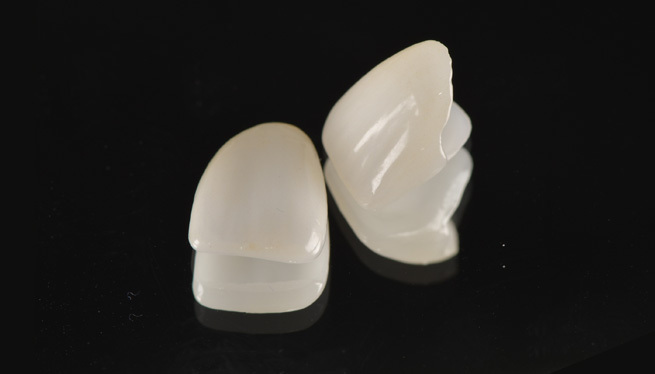 This new, highly preferred method is a key component in creating esthetic CAD/CAM restorations. Many people experience “jaw” muscle discomfort around the teeth, cheek or ear. Often referred to as TMJ, this joint-related soreness can be a result of grinding, clenching or malfunction of the teeth or occlusion. 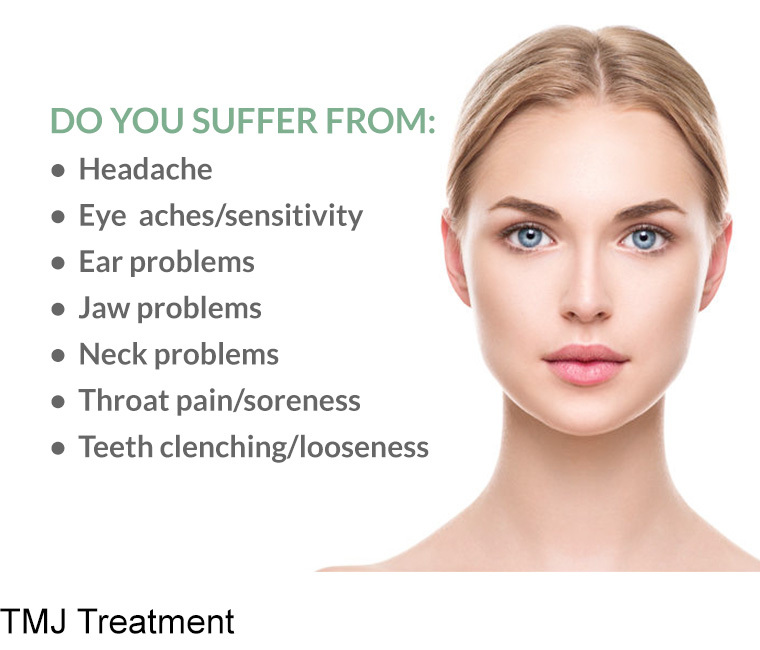 Amsterdam Dental Group offers a number of proven methods to alleviate TMJ discomfort. Everyone’s dental needs are unique and they are specific to you. 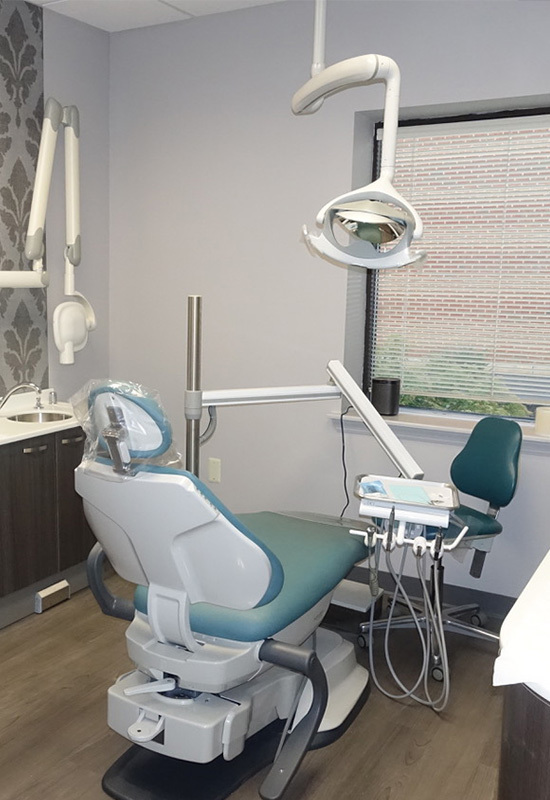 Whether cosmetic dentistry or replacing missing teeth, dental implants or a healthy functional mouth, browse our gallery and view the customized care we have performed for patients. 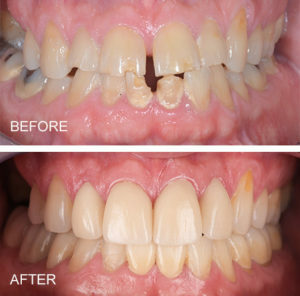 Periodontal disease can cause unsightly spaces around front teeth with loss of “gums” and black triangles. 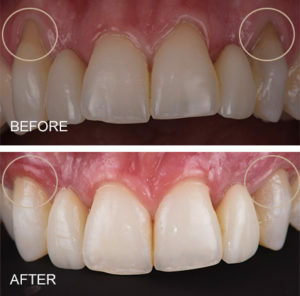 Periodontal treatment and ceramic crowns recreate a natural looking smile. A cracked front tooth replaced by a dental implant using the MIDI procedure. 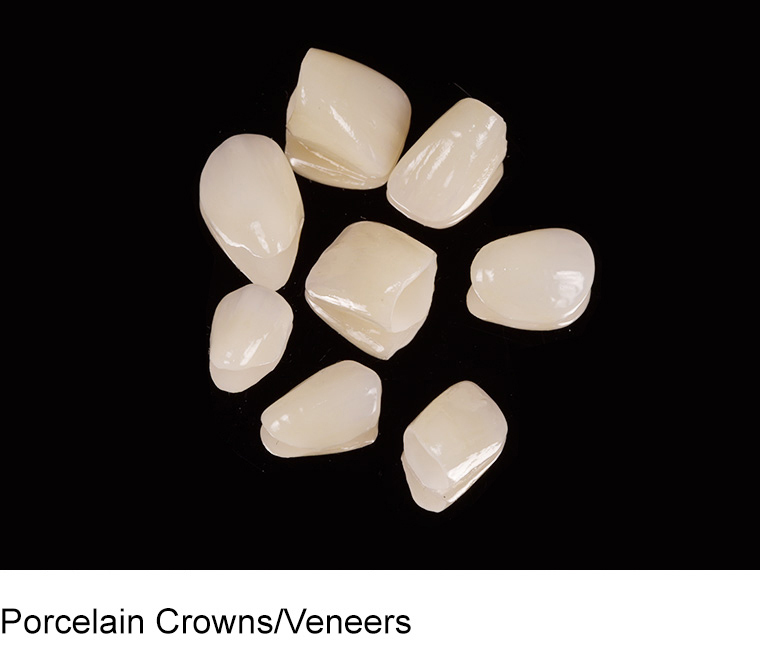 Porcelain bridges replacing congenitally missing teeth. Crowns with dark margins, old bonding, and a fractured tooth are replaced with a dental implant and porcelain emax crowns. Spaces between front teeth can be closed with bonding. 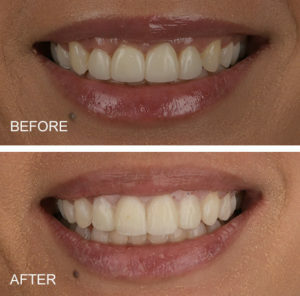 Dark lines around crowns corrected with all porcelain or ceramic crowns. Same day teeth. Implants replacing teeth treated in one day. Previous bridge lost due to cavities and dental decay. 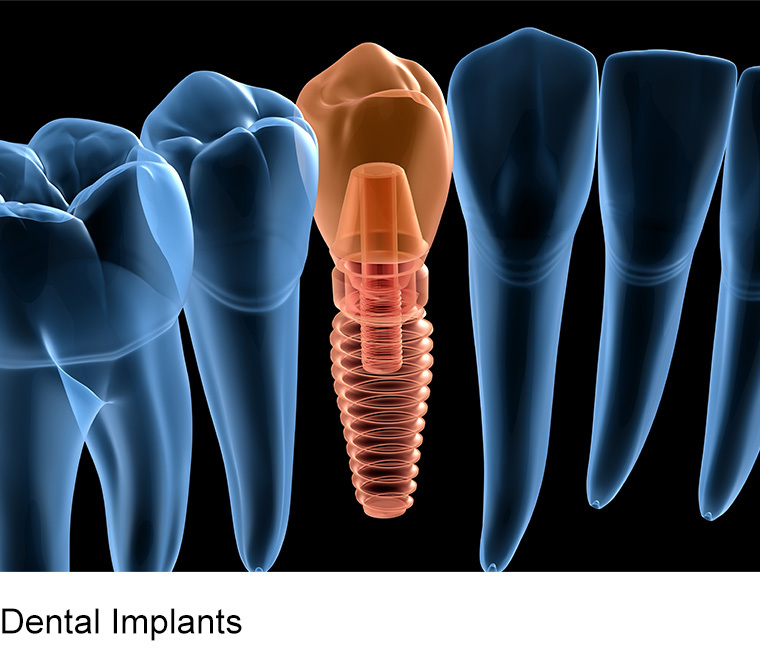 Reconstruction replacing all teeth with implants and bridges. Old stained bonding replaced with porcelain veneers/laminates. Smile makeover. 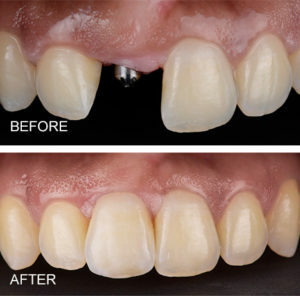 Single implant and crown replaces missing front tooth, central incisor. 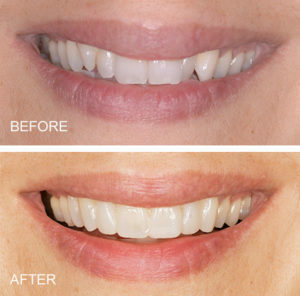 Digital smile design can demonstrate smile makeovers before beginning any treatment. 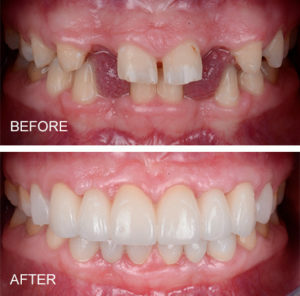 A gummy smile can be made more esthetic with crown lengthening and crowns. 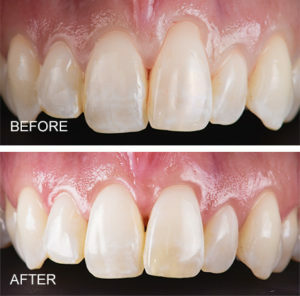 Periodontal disease leaving teeth loose and hopeless replaced with implants and zirconia hybrid restoration. 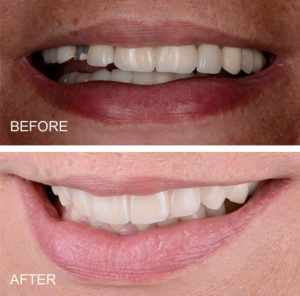 Smile design previewing how porcelain veneers can make crooked front teeth straight. 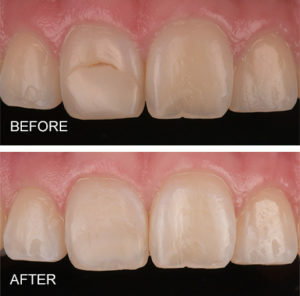 Stained bonding replaced with bonding blending seamlessly with enamel. Worn teeth reconstructed with porcelain crowns. Smile makeover. Gingival (gum) recession treated with grafting achieving full root coverage. Cosmetic gum grafting for root coverage on front tooth. Porcelain crowns to correct diastema (spacing) and chipped front teeth. 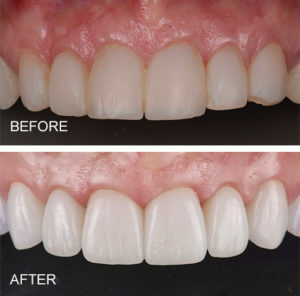 Smile makeover using e.max all ceramic crowns. 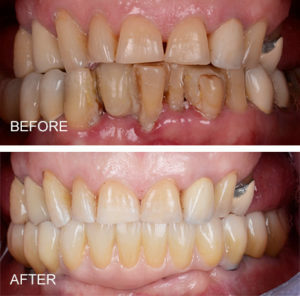 Smile makeover of worn teeth from grinding. 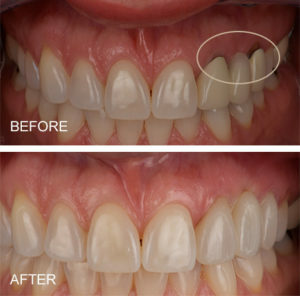 Old, stained bonding and chipped front tooth was restored with a porcelain crown and veneer. At Amsterdam Dental Group, we place great value on feedback and respect each of our patient’s comments. It is with pride that we share their reviews with you. I travel great lengths to see Dr. Cross, I'm talking "wake up at 3 AM, and hop on a plane" lengths. I would trust no other to my dental care, especially because it is very cosmetic in nature. Not only does he have a great eye, he is easy to speak with, kind and beyond talented. My treatment was very intricate in nature, and Dr. Cross was able to identify important details that would improve my smile. Thank you Amsterdam Team...both the Paoli and Philly offices were wonderful and extremely helpful in scheduling. I was greeted warmly the moment I walked into the office, and Ms. Shaima was my dental assistant and she made sure I was comfortable the whole time and will make anyone who is nervous feel at ease. Couldn't recommend this wonderful group and excellent Doctor any more!! I'm very happy! The Paoli office is a friendly professional office filled with my dental family. We are always seen on time and greeted with a friendly welcoming staff member. It is always a great day when I go to my dental Check up. Dentists are competent. Willing to consider your comfort with each step of a procedure. Generally easy to schedule appointments. 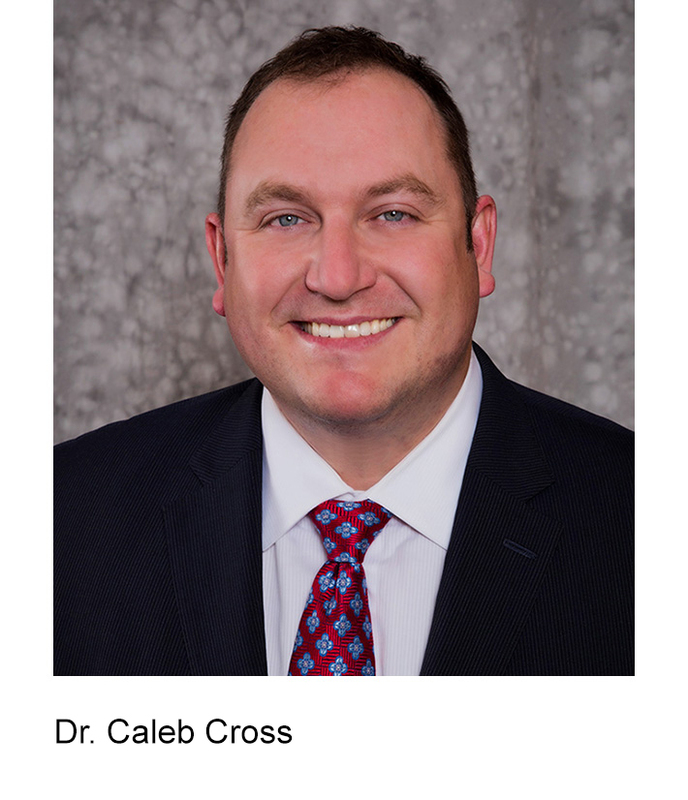 Dr. Caleb Cross of Amsterdam Dental Group is one outstanding oral surgeon. He extracted the tooth, installed the implant, and added the temporary crown all in one hour and 15 minutes. I was nearly pain free that night and had no problems going forward. Having had three previous implants by others, I'm happy to say that it was a surprisingly pleasant experience. Great job Dr. Cross. I was seen at the Paoli, PA office and from start to finish, my appointment for periodontal surgery was exceptional. My comfort was their primary concern. Each step of the procedure was discussed before proceeding and all questions were answered. Highly recommend this practice. 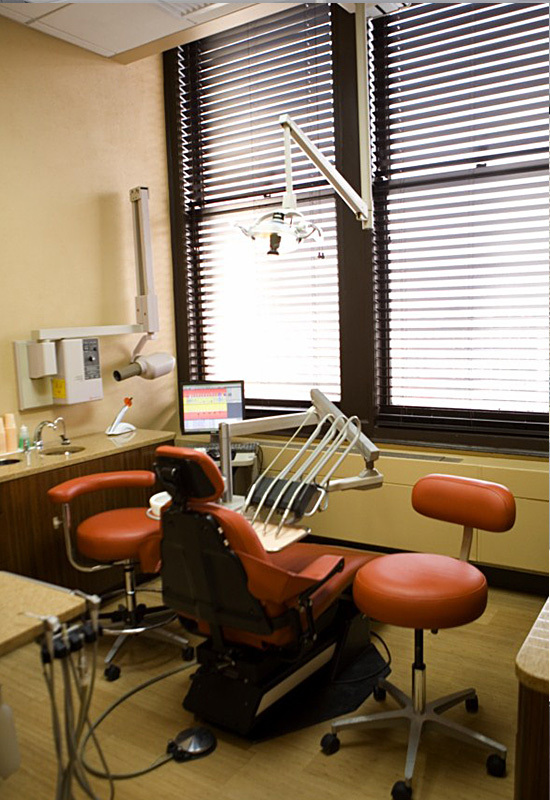 Amsterdam Dental Group is a leading provider of cosmetic and implant dentistry in Philadelphia and the surrounding suburbs. 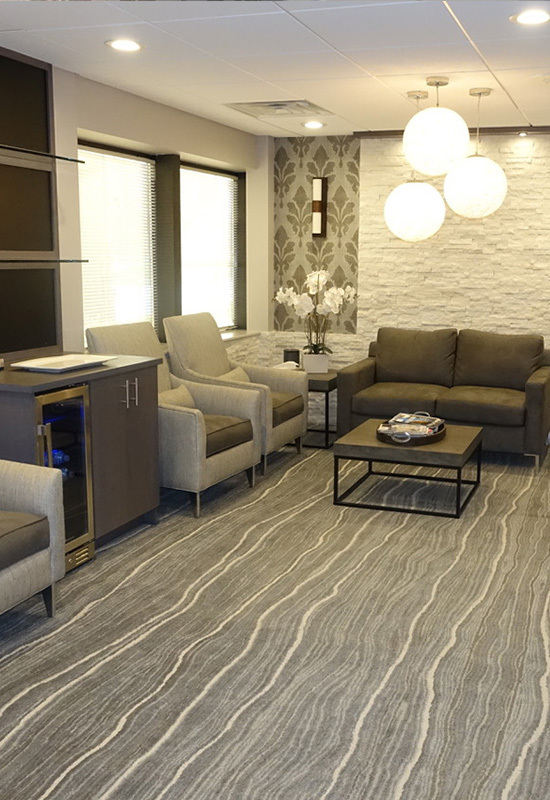 The team of dental specialists, assistants, hygienists and staff are committed to one shared goal: offering customized treatment to meet each individual patient’s dental goals. In doing so, patients receive the most esthetic, functional, long lasting results. 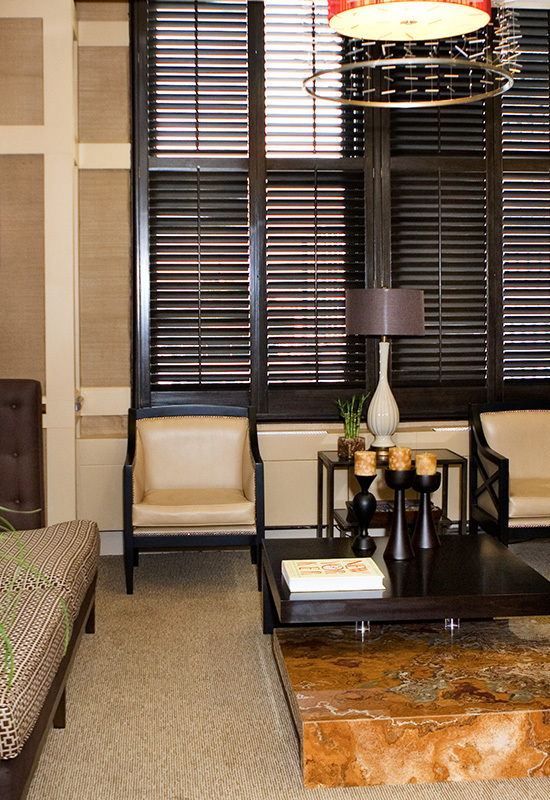 With offices in both Center City and the Main Line, Amsterdam Dental is unlike most dental practices. It is uniquely qualified being the only practice in the world with five (5) dual trained specialists in Periodontal Prosthesis. That’s more than words, it means every patient receives treatment from a specialist in the fields of both cosmetic dentistry and dental implants. Amsterdam Dental Group was founded in 1948 by Dr. Morton Amsterdam, a well-respected and skilled dental professional who co-founded the dual specialty of Periodontal Prosthesis training program at the University of Pennsylvania with Dr. D. Walter Cohen. Very quickly, Periodontal Prosthesis grew to be recognized internationally as one of the finest methods in providing comprehensive dental treatment. Patients traveled from around the world to receive care at Amsterdam Dental Group while dentists from around the world came to Penn Dental Medicine to receive Periodontal Prosthesis training. In 1965, Dr. Arnold Weisgold joined Amsterdam Dental Group upon completion of the Periodontal Prosthesis training program. The practice thrived and attracted patients from around the world under the leadership of Dr. Weisgold, who also became the director of Periodontal Prosthesis at Penn Dental Medicine for more than 20 years. He proudly trained some of the most prominent cosmetic, implant and reconstructive dentists in the world. Today Amsterdam Dental Group is led by Drs. Harold Baumgarten, Jeffrey Ingber, Howard Fraiman, Caleb Cross and Brian Kasten. Together the team continues to provide world class dental care while they also share their knowledge by leading the Periodontal Prosthesis program at the University of Pennsylvania.